Excellent medical care is something you (hopefully) don’t have a problem giving to your patients. It’s hard to provide quality care for them, though, if they’re not making it to their appointments. Missed appointments cost the healthcare industry approximately $150 billion each year. 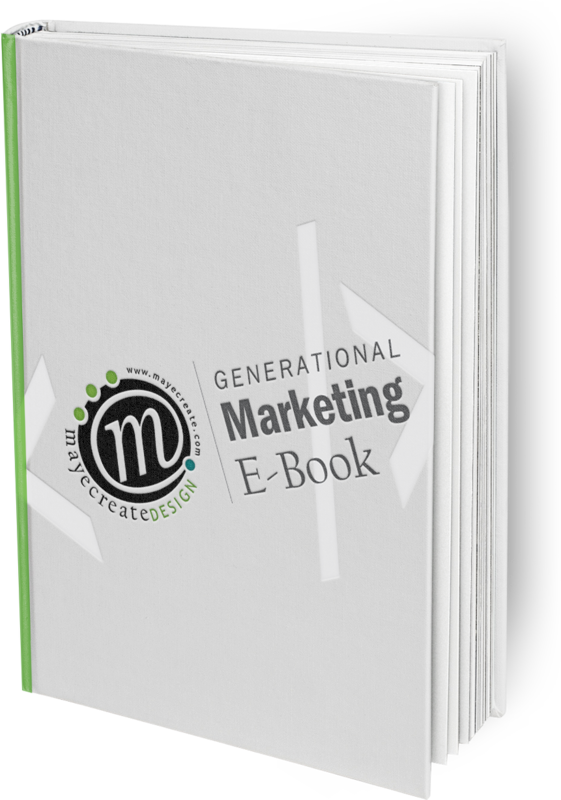 Every 60 minutes of unused appointment time in your office costs your practice about $200. With the average rate of no-shows lingering around 30%, your healthcare business could benefit from finding a practical solution to make sure your people are showing up. Last year there were 10 million medical appointments missed due to no-shows. Money aside, consider your patient’s perspective by putting yourself in their shoes: how much do you hate finding out you’ve missed a doctor’s appointment? And when that happened, I bet you thought, “It sure would’ve been nice to get a text reminder about it…” at least a time or two, huh? Now think about all those people waiting to be seen; some people wait weeks or even months while they’re sick and in pain to get in to see a specialist. Imagine the impact that unused time could have on someone who needs it! There is a simple and effective solution to all this potential misery—text messaging. It costs approximately $110,880 each year (in full-time equivalency) to have your office staff make reminder calls. Yet, 88% of these phone calls are made to landlines, and, over 50% of homes today are wireless-only homes. Simply put, it’s an ineffective, expensive practice. So, the bottom line is clear: you can spend your time and your money in much better ways. There’s no doubt having a system in place to remind patients of their appointments could benefit your practice—but that system doesn’t need to cost you a ridiculous amount of money. Luckily, there are many cost-effective ways of reducing no-show appointments. Text messaging is one of them: it’s an affordable and effective way to get your patients to their appointments on time. 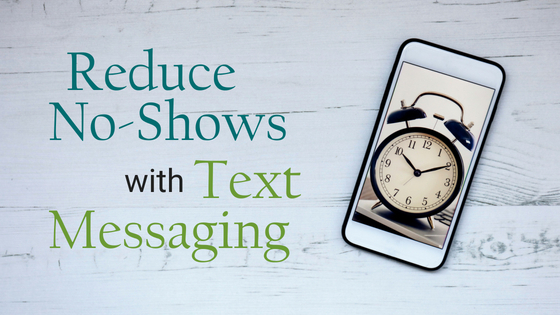 Text messages are not time-sensitive, making them a superior medium for reminders. If a patient gets a phone call and is in a situation where he/she can’t answer, you lose the opportunity to cancel or to reschedule. With text messaging, the patient can respond when it’s convenient for them. And you know what? People love convenience. So maybe it’s time to give them what they want. Plus, your patients text two times as much as they call people. So, when you’re looking for a method to remind them of their appointments, it makes sense that the best option for communication is texting given they’re twice as likely to receive the information. Vanderbilt Medical Center in Nashville, Tennessee, wanted to offer patients a text reminder solution, but they were unsure how it would be received. So, they implemented an organic, patient-driven approach. Instead of forcing patients to switch to text message communications, the medical facility had its schedulers consult with patients about their preferences when they were at an appointment. And get this: 7 months into the transition, the hospital now has 28% of its patients choosing to receive text message reminders over phone calls, and confirmation rates are up to 37%. That’s a 23% increase in confirmations, and they haven’t even offered the service to all of their patients! So as more patients choose the texting option, the numbers will just keep going up. Sometimes things come up. It’s called Life, with a capital L. And when Life happens, people are more likely to overlook their doctor’s appointments. To combat that, some doctors’ offices have a no-show or cancellation fee averaging between $20-$50. But, remember what I said earlier about losing $200 in copays, reimbursements, and overhead for every missed hour of appointment time? A no-show fee of $20-$50 only gets you back a fraction of what you’re losing. 90% of text messages are read within the first 3 minutes of receiving them. This means that your patients are so much more likely to get their reminders via text than if you were trying to reach them by phone. And text messaging is yielding a 55% confirmation rate! In short, people are responding really well to these reminders, which means, you guessed it, adopting a text messaging approach to reminders can drastically reduce your no-shows. Want proof? The Department of Veterans Affairs recently launched a program called VEText to remind a veteran of their doctor’s appointments. Since its launch in October, they have sent messages to over 5 million veterans which led to 134,000 appointments being canceled or rescheduled. What does this mean for other veterans? An opportunity to get an appointment faster. That can never be a bad thing. That’s a win-win situation for everyone: less waiting for patients and less financial loss for health care practices. Earlier I mentioned the cost to have your staff make phone calls is better budgeted elsewhere. Heads up: you aren’t saving any money by choosing a robocall system either. The fact is there are approximately 2.5 billion robocalls made each month—and there’s more effort going into stopping them than there is in helping the legitimate ones. On top of all that, the FCC is trying to slow robocalls. In 2017, the FCC gave phone companies the power to block numbers that they think are robocalls. The number of apps to stop robocalls is growing, too, and more and more people are utilizing technology to block unknown numbers. So even if you are following the FCC’s rules about using such a system, it’s still not providing any value for your business. You know the text messaging options available to you I’ve been mentioning? You might consider taking advantage of one of them to help you circumvent the FCCs desire to crack down on calls. No-shows happen—it’s a significant problem that all health care businesses just have to deal with. They are a financial burden, and they can wreak havoc on the structure necessary to successfully run a medical facility. Not only are they a financial and logistical nightmare, they also make providing the best form of quality health care to patients more challenging. With a text messaging reminder system, you can combat the number of no-shows in your office, freeing you and your staff up to offer even greater care to your patients. Their physical health and your mental health are worth it, aren’t they? Anastasia Sviridenko is a content marketing manager at TextMagic. When she's not working, you can find her reading another Neil Gaiman book or going for a run in the nearest park.